Provided photo Clay Brown, whose mother Tanya owns the store, mixes up the first batch of lye soap made in the business’s new manufacturing space. Provided photo Living Simply Soap, which will open a temporary storefront in May, commemorates the first batch of soap made since the fire. TIPP CITY — About 30 days after the fire that closed the business, Living Simply Soap made the first batch of soap in its new manufacturing space this past week. Owner Tanya Brown said being back to work — although not back to normal — has lifted some of the weight from her shoulders. Customers who have missed the store will be able to buy from a limited range of products in May, when Living Simply Soap starts temporarily operating out of a storefront on the corner of Main and Second Streets. “We’re hoping to be open the first Saturday in May,” she said. The building formerly housed Coldwater Cafe and is owned by Steve and Sally Watson, who also own the Hotel Gallery. The move to the new storefront is not permanent, Brown said. The shop at 112 E. Main St. will be closed for at least the next six months while the fire damage is repaired. Well before the fire struck last month, Brown had been looking for a new manufacturing space in Tipp City knowing the her business was outgrowing the kitchens in the Main Street building. She bought a building on North Fourth Street last fall. 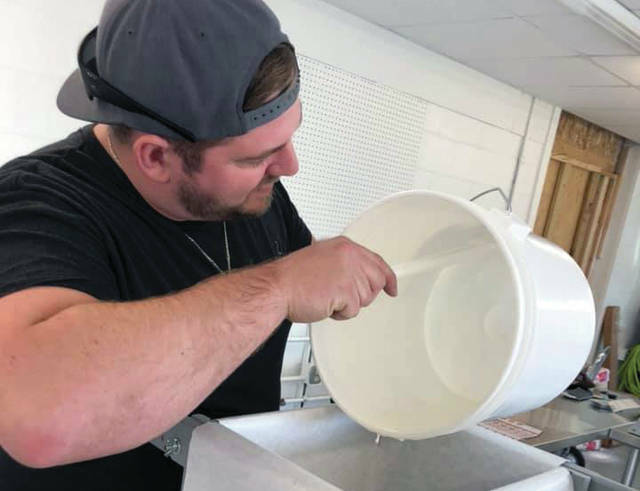 https://www.weeklyrecordherald.com/wp-content/uploads/sites/51/2019/03/web1_soap.jpgProvided photo Clay Brown, whose mother Tanya owns the store, mixes up the first batch of lye soap made in the business’s new manufacturing space. 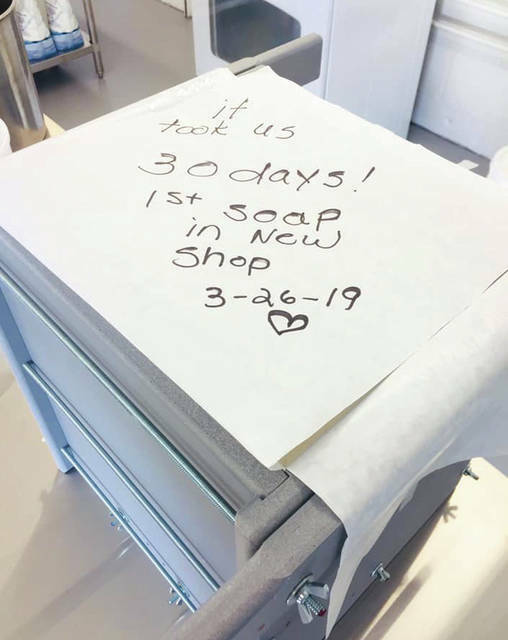 https://www.weeklyrecordherald.com/wp-content/uploads/sites/51/2019/03/web1_soap2.jpgProvided photo Living Simply Soap, which will open a temporary storefront in May, commemorates the first batch of soap made since the fire.